A lot of us keep wondering ‘are hair extensions very expensive?’ and this is to give you in brief the factors that influence the price of hair extensions to enable you to have a basic idea on this topic. A brief gist about hair extensions. Hair extensions provide a wonderful solution for people who are plagued with thinning hair, balding, sudden loss of hairs due to a medical condition, and apart from these hair extensions come in very handy for people on the go who have to make themselves not only presentable but highly fashionable to look glamorous which is a necessity in their profession such as actors, TV artists, celebrities, models, etc. 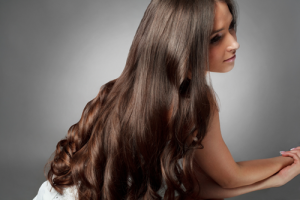 Any one can transform their hair into long and lustrous thick tresses within no time by applying hair extensions to their natural hair for increasing instantaneously the length or volume of their hairs. If you so desire you can add colored hair extensions for a dramatic look too, yes, they are so versatile that you can really play about with them to have a new looking you every time you step out! The main factor on which the price of extensions depends upon is the type of hair used; the synthetic hair extension is much cheaper and can be found in plenty. Extensions using human hair are more expensive and out of these the ones that are imbibed with a virgin and Remy quality are the most expensive of the lot and definitely are the best among the other types of hairs. Length of the hair used is another factor for setting the price on hair extensions; longer the hair used costlier it is. Geographical location is another factor that plays a crucial role in the price of the hair extensions. Getting the job done at high-end salons in posh localities is sure going to cost you a bomb, whereas the smaller ones in the suburbs charge much less. And last but the most important factor that sets the price of the hair extensions is the technique used for applying the hair extensions to your natural hairs. Let us look at various hair extension techniques that are in vogue. Of the lot, clip in hair extensions that are for temporary use cost the least but are surely the best these days. They are easy to apply and do not require a visit to the salon to get the job done. The most expensive of the hair extension techniques is the strand-by-strand method since it needs a lot of time to apply; one strand at a time is attached and each strand has about 20 or so pieces of hair, that is snail speed! Hair stylists need to devote a lot of time for this process and time is money! Hair wefts are considered better than strand-by-strand procedure since here wefts are bigger than strands and a lot more hair is attached with each weft and the process gets over much quicker saving you a lot of money. Finally it all depends on your preference and how much you are prepared to spend on hair extensions and the above information will help you to better understand the concept.